When True Blood mixes with The Good Wife, paranormal creatures got confused. The Good Deity offers a journey into the magical world and the multiverse, where magic meets technology and good tangles with evil. Mya Portman is born to maintain justice in the paranormal world. At least, that is what she believes. She thinks she can save one thousand innocent souls from an unnatural death, and she has bet her freedom on it. A thousand years later, she is still working off the debts. 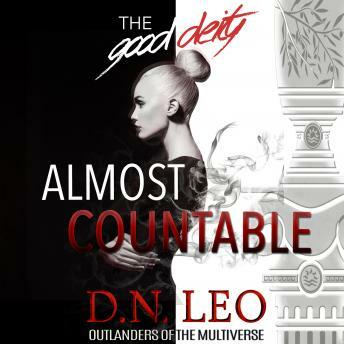 The Good Deity - Almost Countable is the first installment of an exciting urban fantasy, supernatural suspense trilogy, filled with twists and turns.